EDIT: There has been update on this matter. Seemingly out of nowhere, just roughly less than a day ago, Sony made nearly every PlayStation Classic and PSP title available on Sony's SEN Market for download directly to PS3's and indirectly to PlayStation Vita's. This massive list of titles even includes some games and demos that were previously not available on the Vita. As of the moment I am writing this article and to my knowledge, Sony has yet to comment on this new development and integration. Ever since the PlayStation One Classics feature was implemented, various retro titles did not have any Vita support until now. This news of the PS1 and PSP games being available for download surfaced due to various users at NeoGAF, who managed to start downloads of the games by accessing their download histories in correlation with games downloaded onto their PS3's. 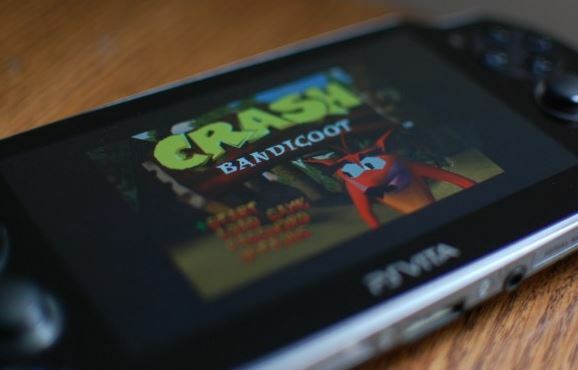 Recently, a fair amount of users had downloaded some classics such as Crash Bandicoot and Spyro the Dragon due to a sale which priced them at $0.99 each. Not long afterwards, various users confirmed that these and other classic titles were working well on their Vita's. If users of the Vita would have known that these games would work on their handhelds, the sales of these classic titles would have probably been much higher than what they were. Going further, various PSP games that previously could not be played on the Vita such as Gran Turismo and Metal Gear Solid: Portable Ops are now downloadable and playable. Interestingly enough, the game Phantasy Star Portable 2, can also be played on the Vita, but can no longer be purchased due to licensing issues. It is important to note that this new availability of old school games on the Vita is not "cast iron" so to speak. According to reports by Vita users, a few classics such as Pocket Fighter do not run on the Vita. Additionally, the method by which Vita users must download the PlayStation 1 and PSP games if they wish to play them seems less than official. To elaborate, these newly available titles are not yet listed as available for the PS Vita on the SEN storefront. What users have done thus far is purchase games from the SEN web-store or from their PS3 consoles. From here, users are able to go through their download histories on their Vita's and then download the games to their handhelds. So, with this in mind, some argue that these old school games may not remain playable on the Vita in the future as this whole "development" could be some sort of mistake or bug which may be taken care of. As far as I am concerned, I don't feel like this all was a mistake or a bug. I am not the most tech-savvy individual out there, but I would assume that some intentional work had to be done in order to get these PSP and PlayStation One games to work on the Vita. Then again, I cannot imagine why Sony would not make an announcement. Perhaps this was a feature that was implemented early by accident. Do you think this was a mistake by Sony, or was it merely an unannounced improvement? Either way, the idea of playing the praise-worthy titles of the PlayStation 1 via a handheld sounds more than enjoyable to me.